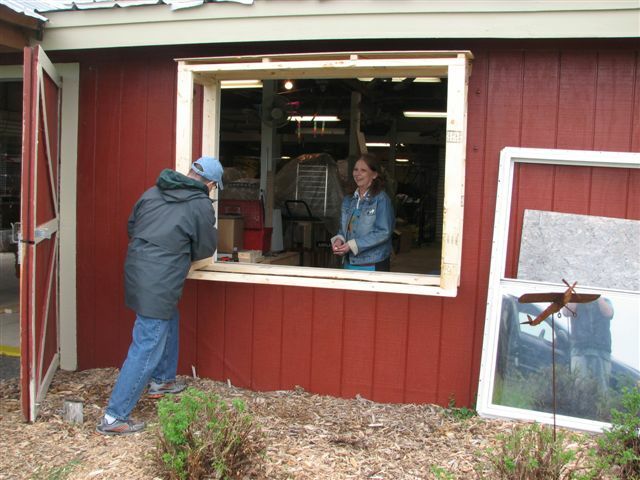 Thanks to dedicated Vintage Volunteers, this past weekend the Gift Shop at our Red Barn AirVenture Headquarters now has a beautiful new display window! Many people do not realize that Vintage Volunteers work year-round to support VAA and improve services to our members. 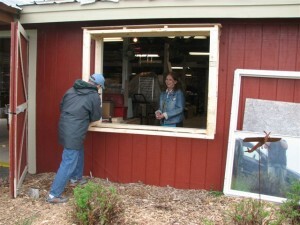 This spring we have already had several volunteer work weekends where dozens of volunteers converge upon Oshkosh to complete many necessary projects. 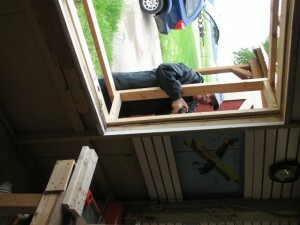 This spring one major project has been preparing new headquarters for our aircraft judging teams. Our Flight Line chairs gathered for a weekend to plan and walked the entire Vintage area to plan the necessary changes due to the new perimeter access road which will circle the entire airport (more on these stories soon). On Saturday, June 8th, a mini-work-party of Director Bob Lumley, Gift Shop Co-Chair Georgia Schneider, Visitor Information Co-Chair Sandy Perlman, and her husband, long-term volunteer Barry Perlman decided to take on the display window project. 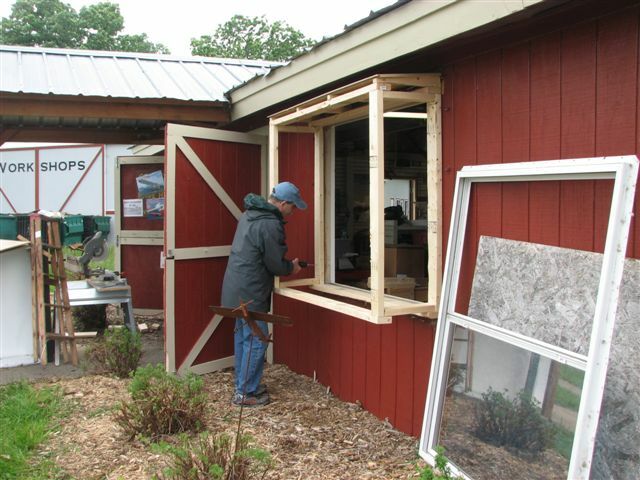 Not only did they complete this project in one day, but they have enough left over material to construct a second display window. Each year more than 500 Vintage Volunteers give anywhere from an hour to more than 200 hours per year in service to our members and AirVenture visitors. 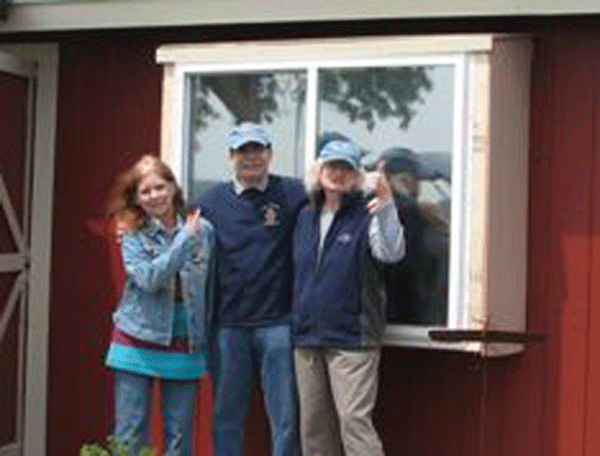 Bob, Georgia, Sandy and Barry are just one example of members helping members. YOU can become a part of this amazing extended family. 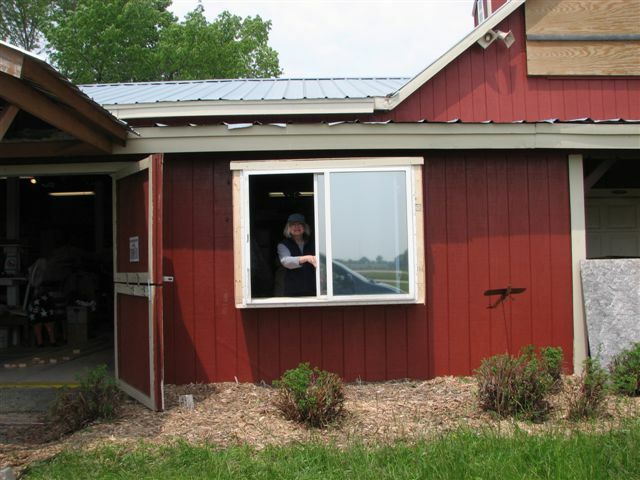 Click here to learn more about the many ways to Volunteer with Vintage. If you have never volunteered before, we can suggest areas you might enjoy. Just complete the form and send us email. If you are returning to AirVenture and would like to volunteer in the same area, click the appropriate link and let your chairman know you are planning to return. Join us and have it all!